There’s not much more relaxing than a nice hot bath or shower during the cold season. It will be more special if you use magical bath products such as these 15 DIY Bath Recipes You Can Make In No Time. Why go the pricey way if you can make these bath recipes by yourself? It is easy to make and the ingredients are not expensive. Perfect if you are on a budget as teens or adults. These DIY bath products can be made as homemade gifts for your families or friends on Christmas. You can also sell it for an extra money. Let’s check out what you can make. An awesome DIY homemade gift idea for friends, family, and teachers. Whip up a batch of DIY Unicorn Sugar Scrub in under 10 minutes with this quick and easy sugar scrub recipe! 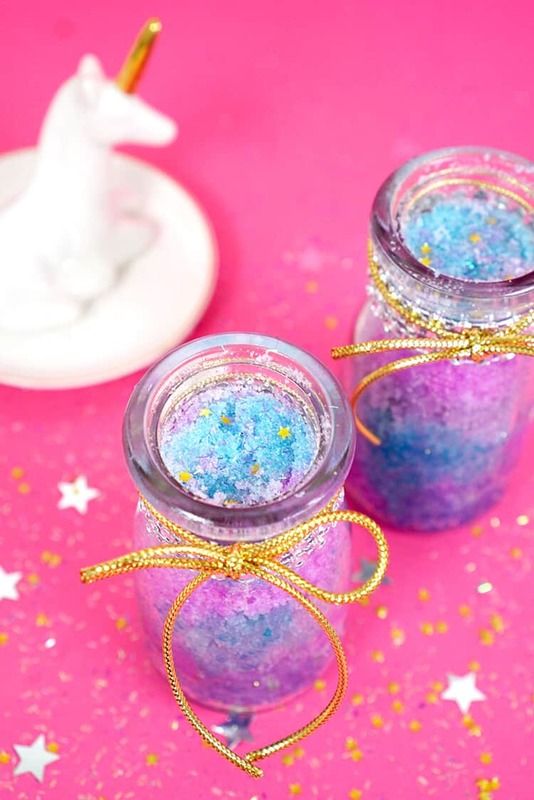 For a Christmas-inspired gift idea, try these DIY mermaid sugar scrub. This would be a great gift idea for your families or friends. You can whip up a huge batch in no time plus they are so cheap & easy to make. Yet, it is a unique and thoughtful gift. We are all in need of a little stress relief during the holiday season after all. 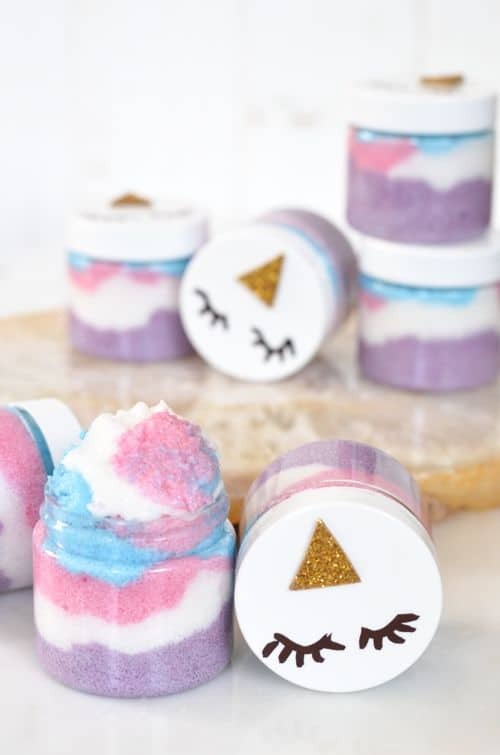 This DIY Marvelous Unicorn Sugar Scrub is perfect for anyone who just can’t get enough of those mythical creatures. Take a break from the daily routine with a DIY body scrub that is both pampering and full of enchantment. 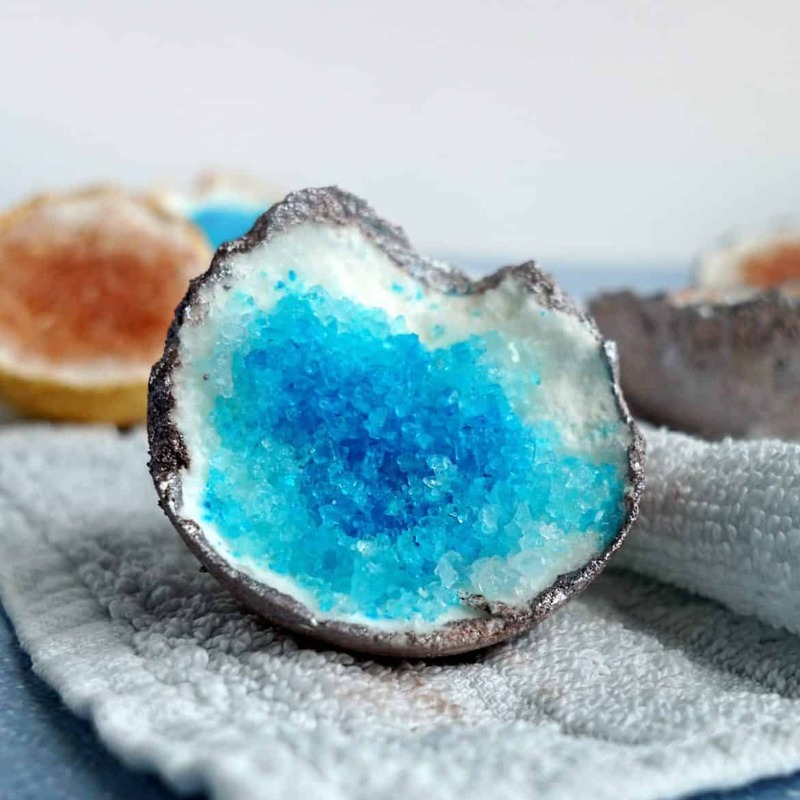 Follow this step by step tutorial to make your own geode bath bombs inspired by those gorgeous crystal rocks! You won’t believe how easy it is! 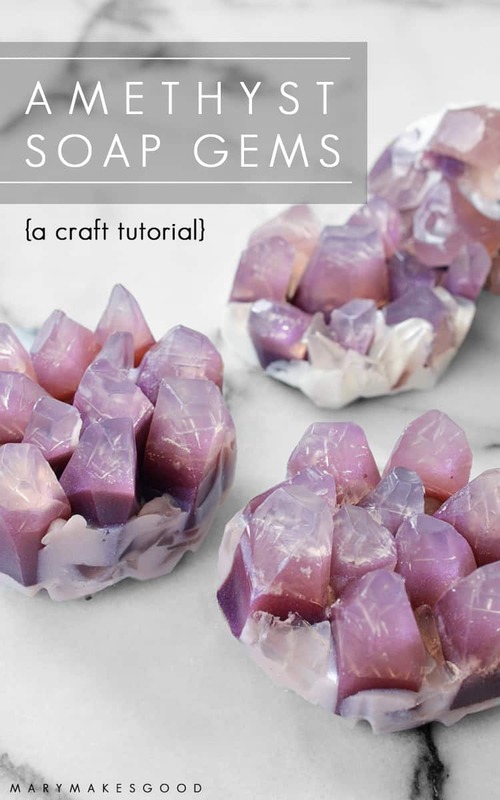 Who knows that these DIY Amethyst Soap Gems is not REAL gems? Make one of these as a wedding or birthday’s favor. Or give as gifts to Gem’s lovers, they definitely would appreciate it! 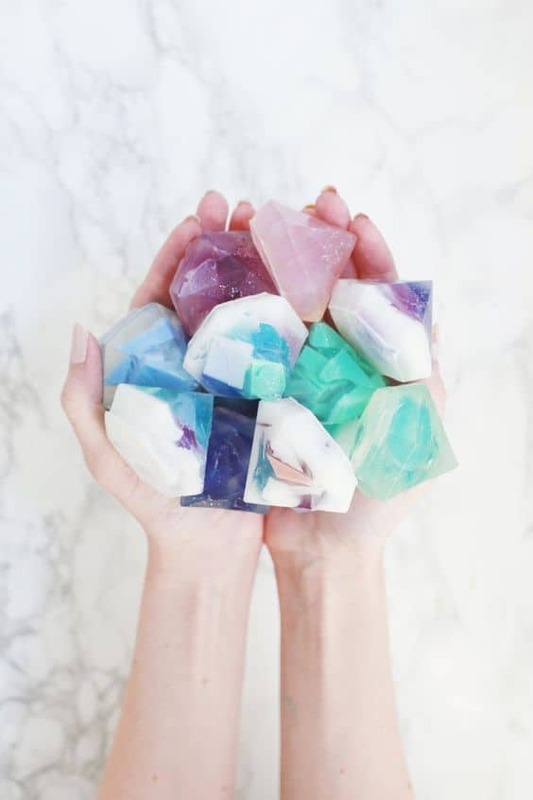 If you have a friend or family member who loves pretty soaps, then this quick DIY gemstone soap would be the perfect gift for Christmas. Even I want to have one of these on my bathroom counter. 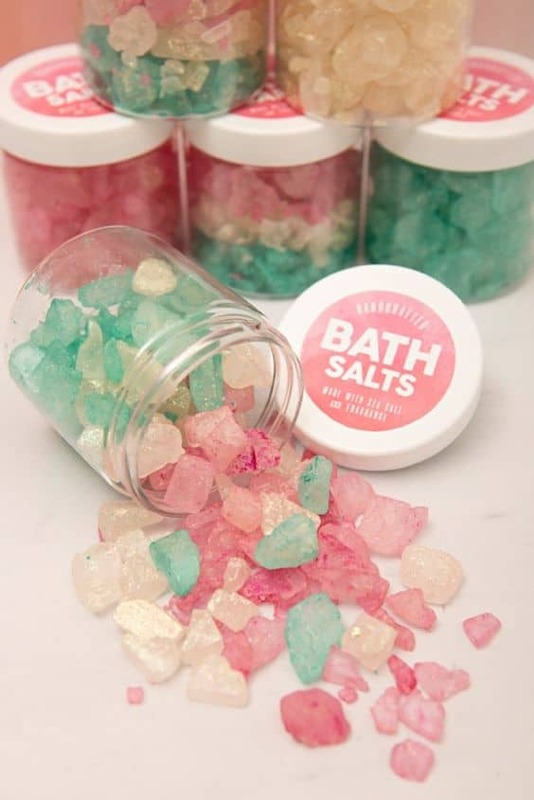 These DIY sparkling bath salts are not only quick to make but also a cost-effective bath recipe. 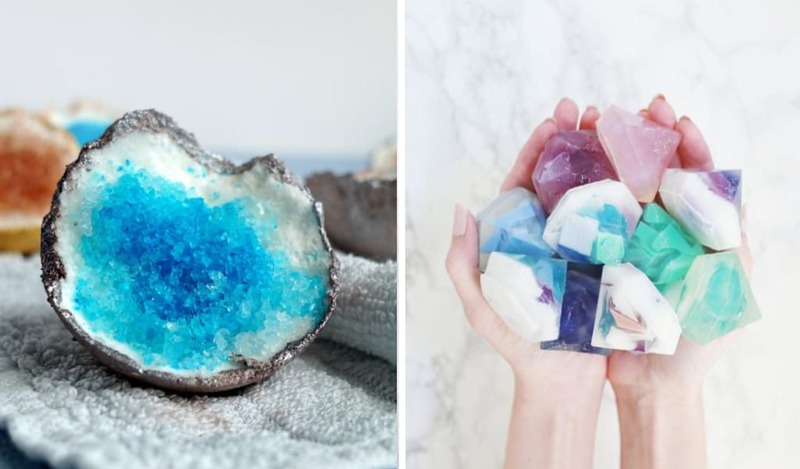 Have yourself a relaxing and magical bath with these gorgeous rocks! Even though galaxy theme is not that popular. You can still enjoy it for yourself. 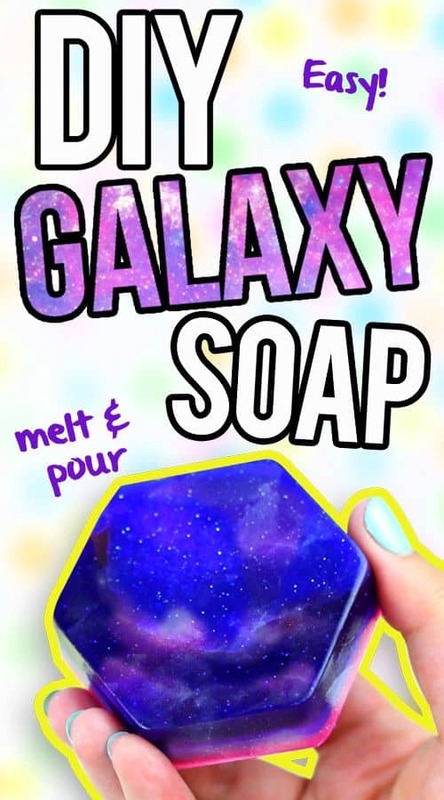 Make this glittery DIY Galaxy Soap and get the best magical bath of your life! Who knows that you can actually make your own shampoo bars? Even though Lush already sells these bars. You wouldn’t need to buy one because you can actually make this. These DIY mermaid silk shampoo bars would make you feel like a mermaid when you wash your hair! You’ll get a fizzy, colorful time with these scented Unicorn Poop Bath Bombs for a magical bath time experience. Plus the kids will love these! 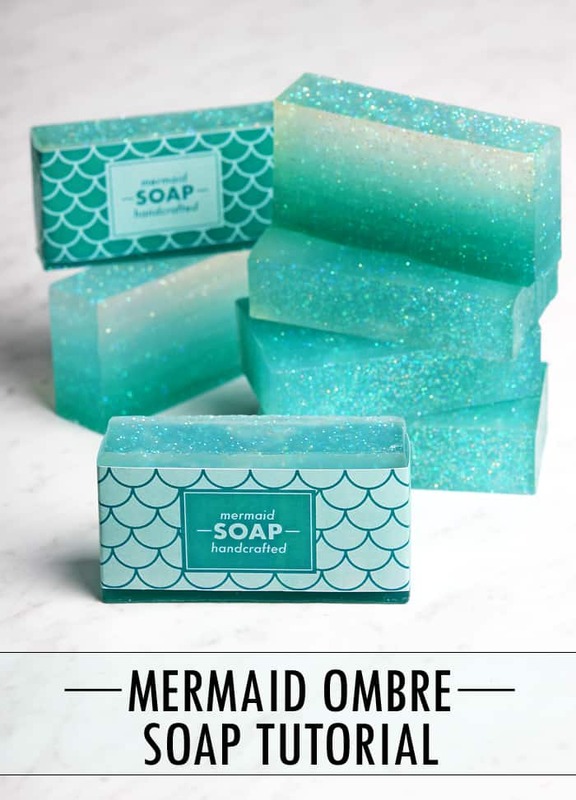 With ombre aqua blue layers and plenty of sparkles, this ombre mermaid soap is fit for a mermaid. 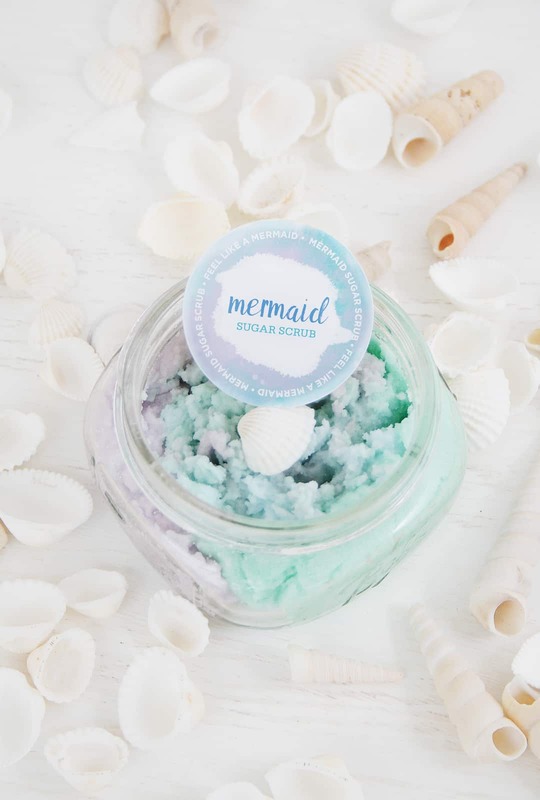 Combine all the mermaid bath products you can make and give it to your favorite mermaid friend as a gift! This DIY unicorn soap from A Kailo Chic Life blog would be a super fun weekend DIY project to do! Plus it’s full of colors and star sprinkles! 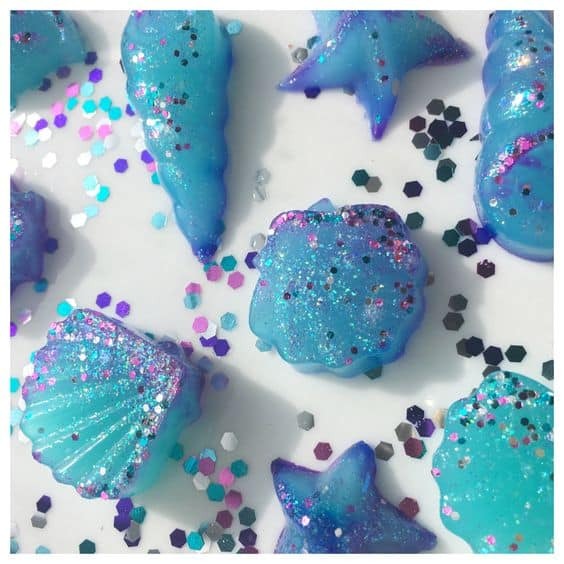 Wouldn’t it be cute when you make a bunch of these DIY mini mermaid shower jellies? You can wrap it as a favor for your kids birthday’s party? I’m sure the kids can’t wait to use these to bath! Okay, you might freak out when you use bath jellies because of the feel of it. 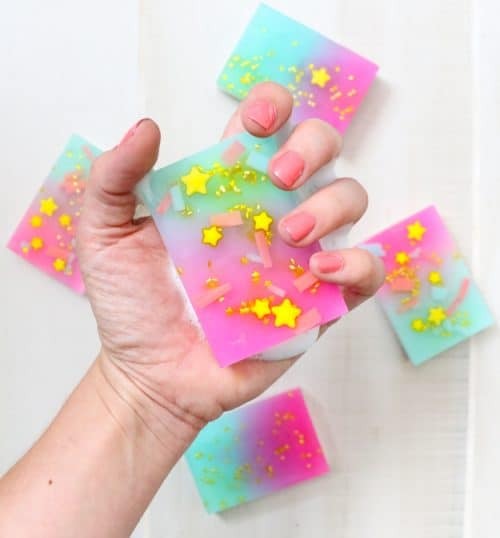 But who doesn’t like some magical time with these glittery DIY bath jellies? 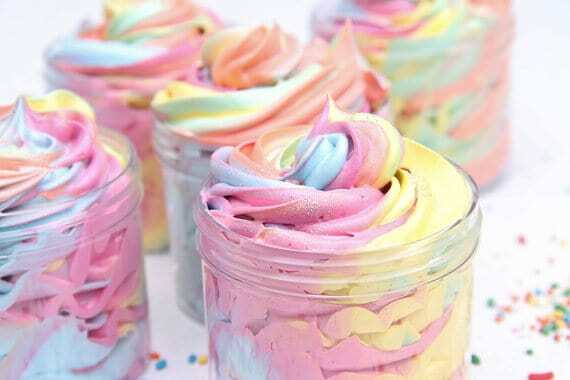 These homemade unicorn whipped soap look cute enough that you want to eat it, but please don’t. Instead, save them for your next spa night and treat yourself. They are absolutely adorable. So much so, that I want to display them in my bathroom. 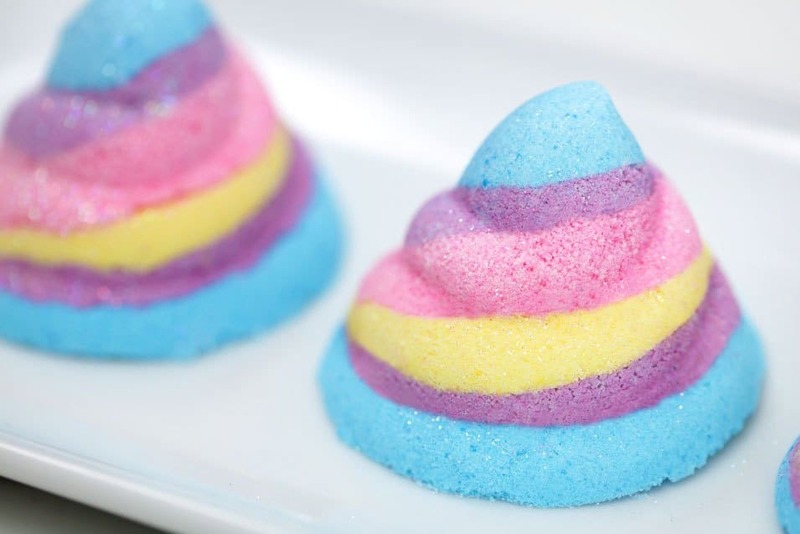 Which of these DIY bath bombs was your favorite? Share your thoughts and leave a comment down below.